Location: In central Alberta at the intersection of Hwy 14 (Poundmaker Trail) and Hwy 36 (Veterans Memorial Highway) south from Yellowhead Hwy 16, approximately 120 km (70 miles) east of Edmonton. Population: 1040. 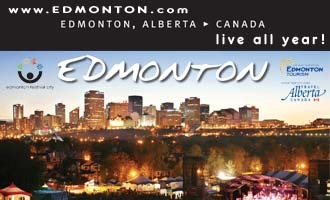 Visitor Information: Website: viking.ca; Phone (780) 336-3466. Founded in 1909 by Scandinavian settlers, Viking is known for its many parks and flower gardens. 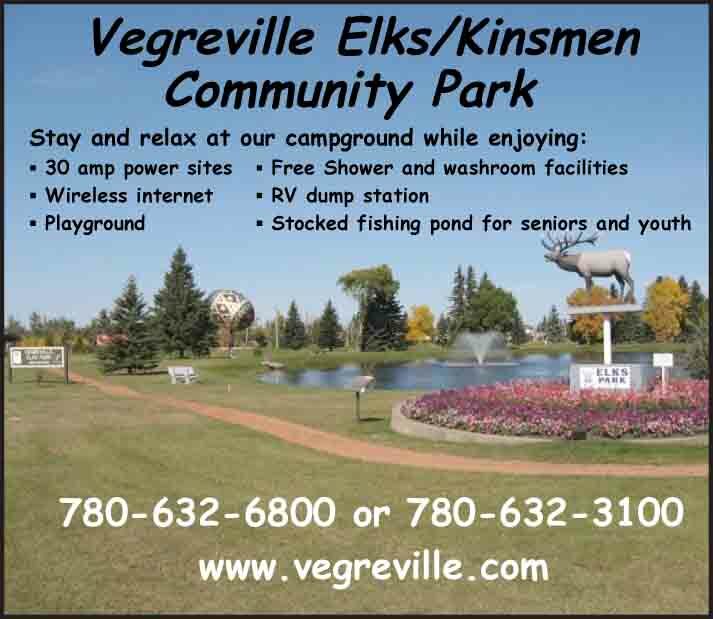 A great place to stop for a picnic lunch, Troll Park is located beside the CN Station. There are trolls (including a life size one) hidden in various places throughout the park, a giant troll mountain and a Viking ship guarded by the metal sculpture of a warrior. The native plants and trees are marked with their Scandinavian names. The Station Tea House and Gallery are housed in the converted CN station and showcase the work of local artists. The Viking Museum was converted from the town's first hospital and documents the history of the first settlers and agricultural origins, the birth of the oil and gas industry and Viking’s growth into a thriving modern community. Viking maintains a small airport just west of town and VIA Rail stops three times per week from each direction. There is a beautiful new hockey arena complex and a peaceful 9-hole public golf course with newly renovated clubhouse and all the amenities.